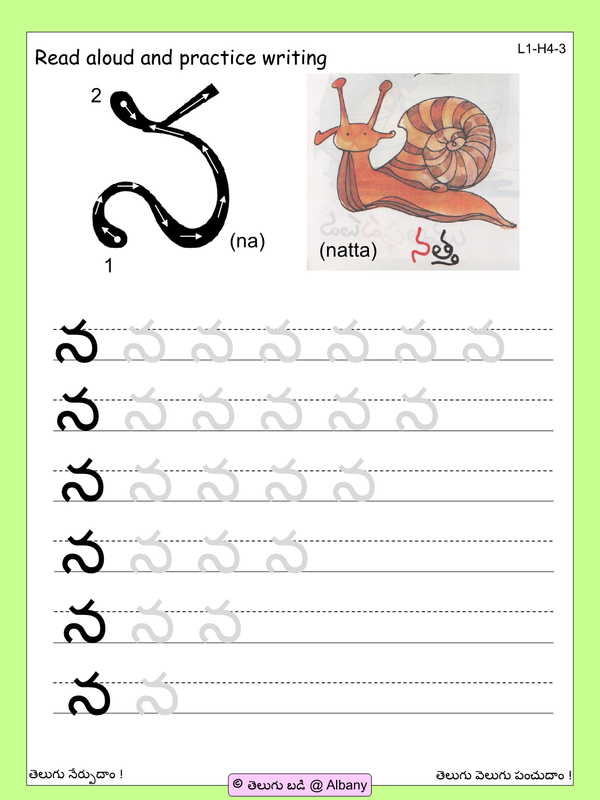 Content: Introducing Basic Telugu Alphabets "SA (శ), NA (న) and GA (గ)"
Children are able to identify the letters SA (శ), NA (న) and GA (గ). It is a great supporting reading video with the worksheets to teach especially low-performance children in the class. What I have observed in my children, results are amazing using these videos in my classroom and the technology stimulating their learning characteristics very well. 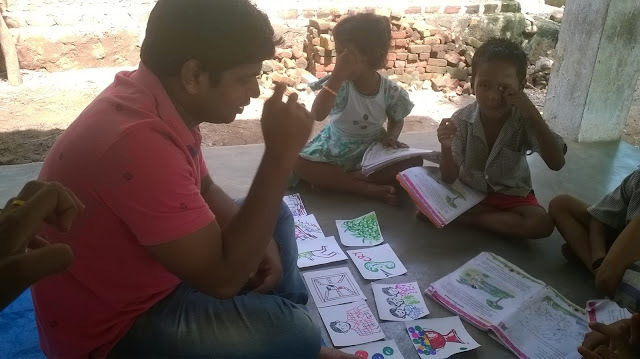 The worksheets have created special attention to practice and tracing the Telugu alphabet among the children. 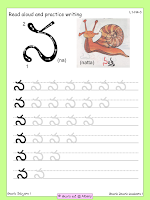 I have developed these reading videos according to the Andhra Pradesh Govt 1st Grade Telugu Textbook. Integrating these reading videos with the textbook, results are very excellent. The learning standard and capacity of grasping the content is highly increasing in those low-performance children. 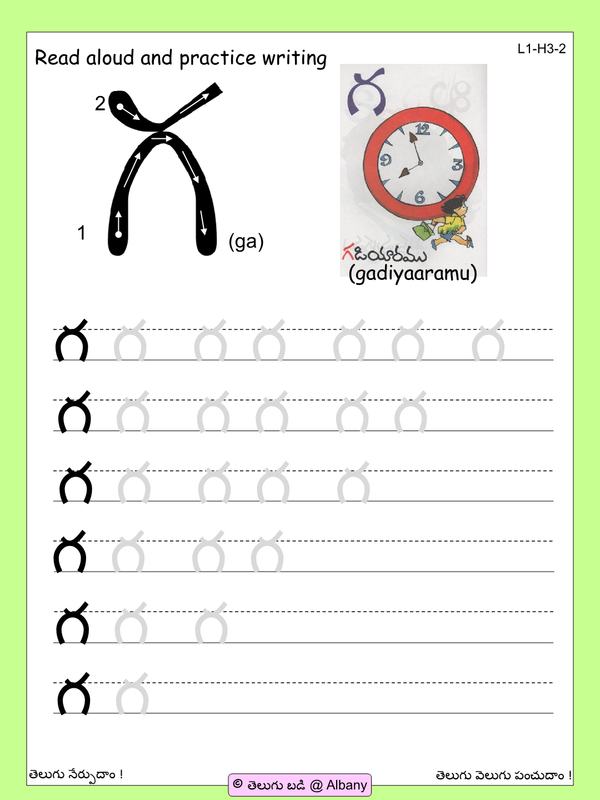 And my special thanks to WWW.TELUGUBADI.NET website to design and provide these worksheets. For convenience, I have extracted and provided regarding lesson worksheets from AP Govt Telugu Text Book. Hope you use it for your classroom. Start the session by singing the rhyme. Give stress to the new words in the rhyme while singing. Ask some interactive questions and elicit responses related to the new word. Write the word on the board. Ask them to identify the word in the rhyme and let them speak about that word in their own sentences. Ask your children to read the letters in the word. Ask them to say some other words which start with the known letters or related to the letters. Introduce the new letter or letters with proper sound and stress. Now play the video by putting in mute and ask them to read or identify the letters displaying on the screen. 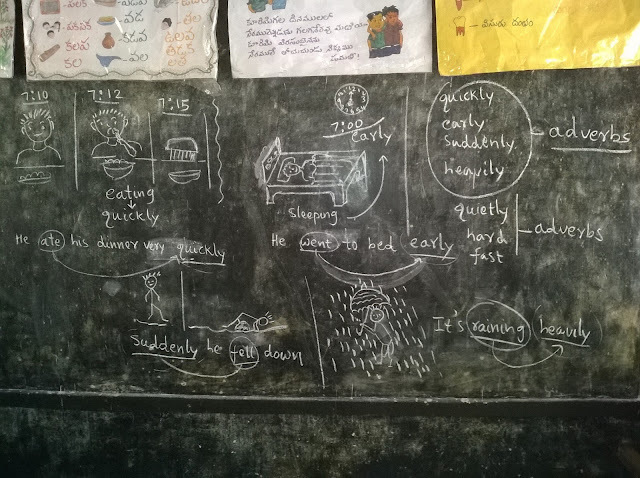 Interact with the children to talk about the pictures in the video and elicit responses related to the words. Now play the video once again with audio and listen to them. Now ask your children to repeat the letters and words after the audio presentation. Sufficient pause has maintained to repeat and say the word after the audio. Once they practice the same for one or two times, ask your children to read the letters and words one by one while playing the video in mute. Ensure that every child should read the words their own. This type of picture reading gives chance to grasp the words quickly and memorize better. Later ask your children to repeat those 4 words letter by letter, to check how much are they remember. So Listening, Speaking and Reading has been done till now. Now give the LETTER WORKSHEET to trace the alphabet. Practice the writing in their workbook also. Ask your children to write the words learnt from the video their own. Keep practising the writing task and dictate the words to write. Once they good at writing the alphabet, give the AP GOVT Textbook worksheet to enhance and practice the other words related to the alphabets.